Valentine’s Day can be a difficult time for both those struggling with substance abuse and their family and friends. From heart-shaped cookies at the local coffee shop, romantic music in the grocery store or dinner specials for two advertised on the bus, it is impossible to avoid Valentine’s Day. It can be a reminder of the support loved ones provide or challenge of maintaining relationships in the face of drug or alcohol addiction. As such, holidays like this one can be a struggle for those in recovery. Whether it is a joyful day celebrating love or a daunting upheaval of painful memories, there is no right way to celebrate (or not to celebrate) Valentine’s Day. Since this holiday focuses so much on relationships, try to take the opportunity to declare and reaffirm your love to those around you. While it’s not necessary to buy anyone a card or a box of chocolates, Valentine’s is a good time to get in touch with the people you care about and who care about you- especially those who have helped you through your recovery. You can do this any way you want: calling them up for a long talk over the phone or giving them a big hug in person are two great and simple ways to show someone you care. On top of this, the best gift you can give to the people you love is to remain sober, or go into a drug and alcohol rehab. Valentine’s Day is not only a good time to connect with people but also to assess how you have related to those you care about over the past year. Being in a successful romantic or platonic relationship is hard enough without the stress of substance abuse. This is a good time to dedicate time to repairing relationships that were challenged by substance abuse. Drug or alcohol addiction can cause a person to focus only on their own needs and one major step in recovery is to become aware and appreciate the people who love and support you. You can do this by establishing mutual love and respect. Don’t get discouraged if things do not improve immediately, it takes a long time to (re)build strong and lasting relationships. Be realistic and don’t expect Hallmark moments. If you believe you are ready, reconnecting with loved ones is a wonderful part of addiction recovery. Talking with a counsellor or therapist about relationships can be a helpful for some. These professionals can give a lot of insight into how to mend broken relationships and what to do to make the time you spend with your loved ones so much more rewarding. During a holiday that focuses so much on the connections people have with each other it is easy to feel left out if you have been struggling to maintain relationships due to an alcohol or drug addiction. 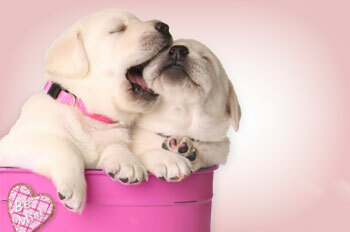 The most important thing to remember on Valentine’s Day is that you are not alone! Make time to get together with your friends and family on Valentine’s to avoid feeling lonely, and to make sure you are surrounded by support. This is especially important if you suffering from the loss of a loved one. Try to get together with others who cared about this person. You can talk about how you are feeling, and being with those who cared about this person will help you to come to terms with your loss. While reflection alone is good as well, this is an important time to seek support from around you. Try to enjoy the winter with loved ones by doing something fun and active outside together. Meet up with friends for a skate in the local rink or go tobogganing! If you are single, why not consider hosting an anti-valentine’s day dinner with all of your single friends? Above all, the most important thing to remember on this Valentine’s Day is to love yourself! It’s easy to forget that this is just as important as showing love to those you care about. Spend some time getting to know just who you are. Substance abuse hides your identity and through recovery your true personality will emerge. Recovery, and also the addiction treatment period, can be an exciting time to rediscover past passions and interests. Don’t forget to also love your physical self: exercise is one of the best cures for feeling blue, and is great for your heart, the number one symbol of Valentine’s! Valentine’s Day does not have to be just about romantic love, but love of friends, family and yourself. Not only does Valentine’s Day mark the end of the busy holiday season, but also the coming of spring- a time to reflect on renewal and re-growth. Although the New Year begins in January, this period reflects the start of a time of action after the winter hibernation. Take the opportunity to reflect on the past year and past relationships and get ready to start anew! At Sobriety Home, we all take a lot of care to ensure that everyone feels loved. As a small centre we work closely together to recover. The lessons we learn at Sobriety help develop the tools to get in tune with our strengths and weaknesses and develop great relationships with everyone here. Everyone is welcome and everyone is loved. Lots of love from Sobriety!